Berlin and Stuttgart, Germany – An intelligent glove in the factory, a digital guardian angel for people on the go, and connected kitchens: Bosch is showcasing these and other solutions at Bosch ConnectedWorld in Berlin, where the IoT sector meets to discuss tomorrow’s world. 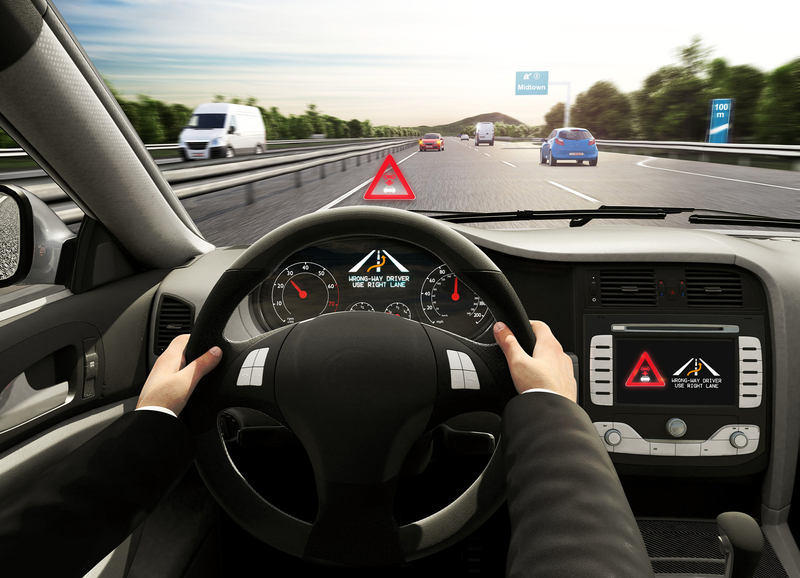 Innovative products and services are making everyday life not only more convenient, but also safer and more efficient – at home, at work, and on the move. 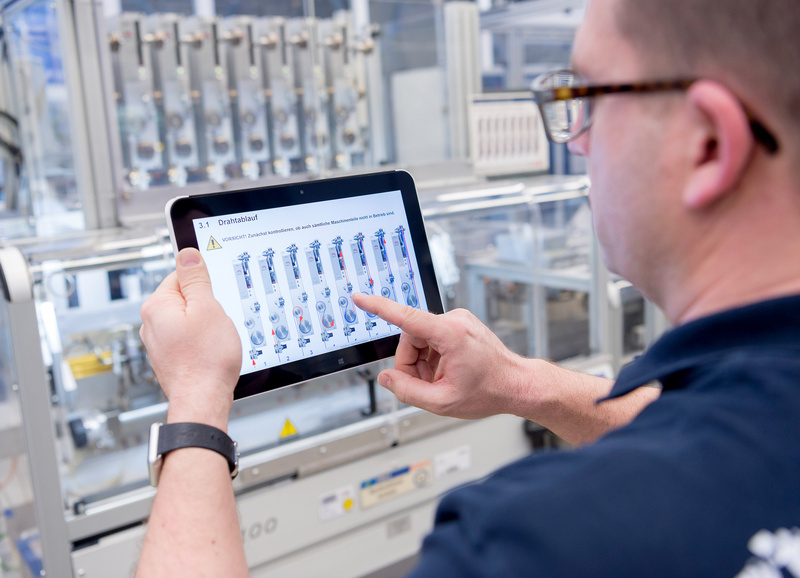 ActiveAssist – the assembly assistant: The assembly assistance system guides users step by step through each individual stage in the manufacturing process. It identifies the next workpiece using RFID (radio frequency identification) and provides information about the required processing steps. For instance, the system uses light signals to mark those grab containers that hold the screws or other parts required to complete the next step. A 3D camera tracks the user’s movements. All in all, the system makes it possible to correct errors and prevents the wrong parts from being used. The benefits are a reduction in user strain and an increase in product quality. Intelligent glove: The iGlove features highly sensitive sensors and is designed for use in connected manufacturing. It maps hand movements and can greatly reduce workforce training times. Furthermore, it helps users learn the correct assembly steps and can document production steps such as the removal of parts. Without any need for physical contact, the data is sent via Bluetooth to a computer or smartphone, where it is compared to previously stored movement patterns. 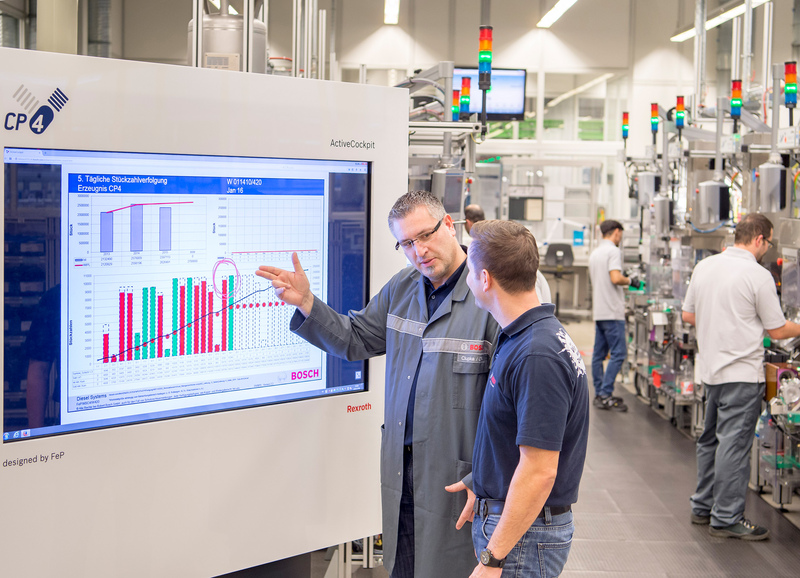 ActiveCockpit – the manufacturing assistant: A gigantic screen informs associates in the factory about the current status of production. The benefits are faster information processing, clear analysis, and subsequent definition of tasks for more efficient processes. As a result, manufacturing becomes transparent. Users and companies benefit thanks to the immediate identification of problems, such as screws that are slightly too small or too large. This reduces downtimes, increases the level of product quality, and avoids any recall costs. Vivatar app – a digital guardian angel: Going jogging in the dark or heading home on foot after the last bus has left is enough to make anyone feel uneasy. This is where the Bosch Vivatar app comes in; it acts as a digital guardian angel for people on the go. It enables users to contact friends and family and be digitally “escorted” home via GPS, and decide for themselves when they should be accompanied and by whom. Vivatar Premium grants users 24/7 access to the Bosch Emergency Assistant, a professionally trained emergency team. 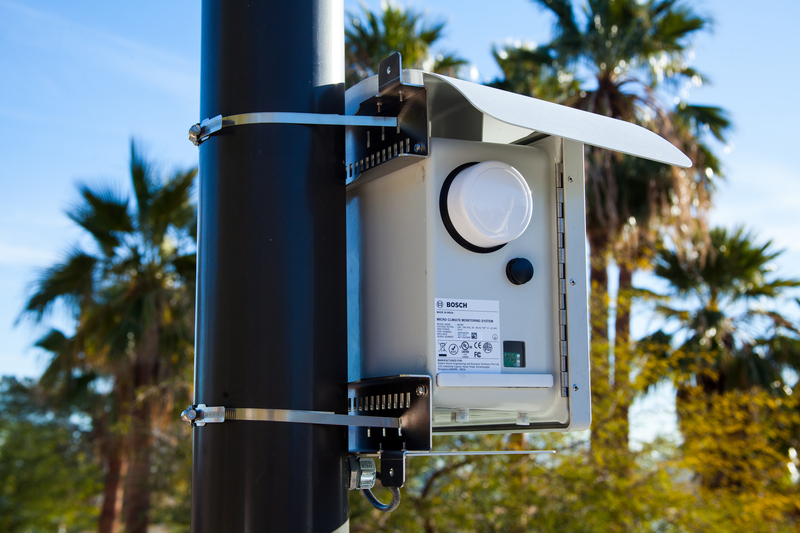 Climo – a small box for better air quality: It’s the size of a shoebox and measures air quality in real time. Developed by Bosch in collaboration with Intel, Climo is a hundredth of the size and a tenth of the cost of conventional systems. It measures and analyzes a total of 12 parameters, including temperature and humidity as well as carbon dioxide, nitrogen oxide, and even pollen count. Using the information gathered, cities can swiftly take action to improve air quality. They can also use it to help with traffic management, for instance. And by using the app, people suffering from asthma or allergies can find out if they should stay indoors or avoid certain areas of the city. 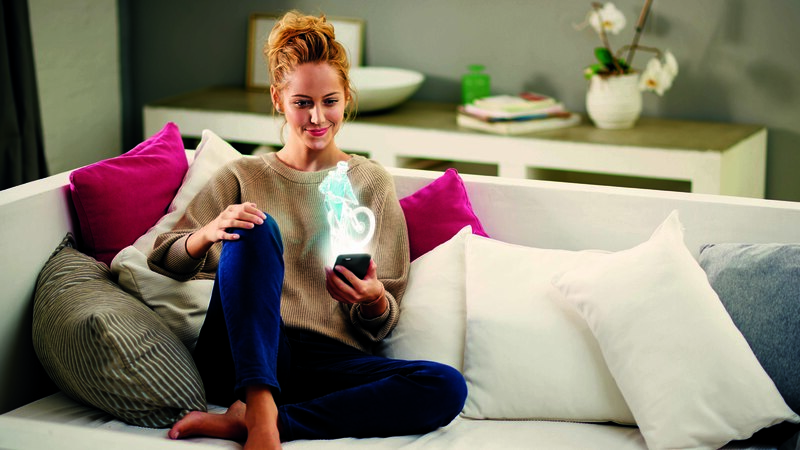 Home Connect – a platform for the connected kitchen: The platform for the connected kitchen from Bosch subsidiary BSH is called Home Connect. 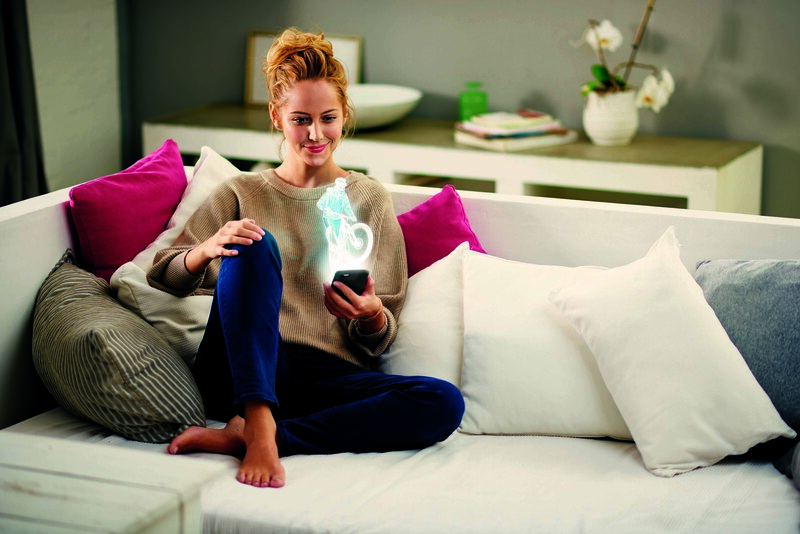 No matter where users are, they can use devices such as smartphones to control and monitor Bosch household appliances and those of other manufacturers. With some 30 partners around the world, Home Connect already has the largest digital ecosystem in the connected kitchen, and the company is continuously entering into new partnerships and adding helpful functions and services. At the end of last year, BSH acquired a 65 percent stake in Berlin-based start-up Kitchen Stories. The plan now is to integrate the cooking app into Home Connect. Voice control is also among the services provided. In this way, Bosch products can be controlled by the likes of Amazon Alexa (Germany), Google Home (UK), or Ding Dong (China). Predictive maintenance – remote diagnostics for elevators: Bosch has already spent over 30 years working on emergency call systems in order to quickly free people trapped in broken-down elevators. Now the company is going a step further by preventing elevators from failing in the first place. The key is predictive maintenance. Connected sensors and cameras are integrated into the elevator system and wirelessly notify the service team when a breakdown is imminent. Maintenance and repair work can thus be carried out before the elevator stops working. 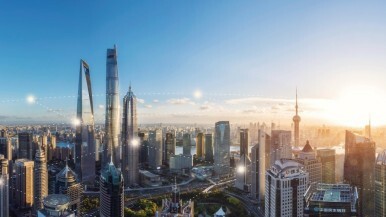 Connected building platform – a smart building solution: The sensor- and cloud-based solution analyzes data from a building, for instance regarding occupancy or air quality. In this way, the platform provides a solid foundation for efficient building management. Windows and doors open and close as required, which reduces energy consumption. The platform also provides information about room use and whether workspaces are occupied. In offices that offer flexible workspaces, for example, this allows people to quickly find the nearest free desk, lights can be efficiently controlled, and cleaning services can be utilized to maximum effect. Knowing where people and equipment are helps optimize building processes, for instance in commercial buildings or hospitals. 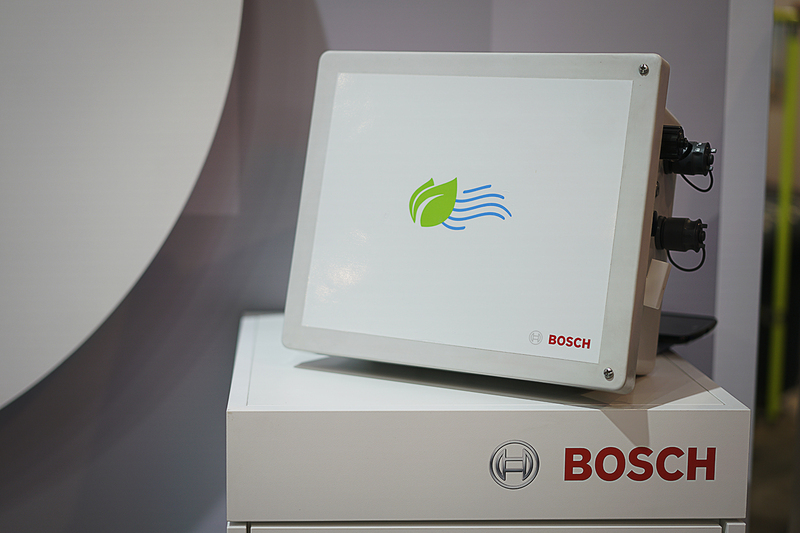 The solution is based on the Bosch IoT Suite, the company’s own IoT software platform.